Consumers Shift to Online Shopping: What Does It Mean? How Do We Measure It? Online shopping grew by its fastest rate in nearly four years in the US last month as rising fuel prices prompted Americans to cut trips to malls and buy on the internet instead, according to MasterCard Advisors. US consumers spent $13.8bn online last month, a 19.2 per cent jump from April last year, according to the SpendingPulse survey, which is based on spending on MasterCard credit cards and estimates of other forms of payment. The increase is likely to outpace sales growth at bricks-and-mortar stores, due to be released on Thursday. The consensus of economists’ forecasts is that sales at stores open a year or more rose 7.7 per cent in April. 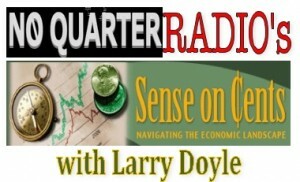 UPDATE: This episode of NQR’s Sense on Cents with Larry Doyle has concluded. You can listen to a recording of the episode in its entirety by clicking the play button on the audio player provided below. Once the audio begins, you can advance or rewind to any portion of the episode by clicking at any point along the play bar. If 70% of our economy is driven by the consumer, and Sense on Cents is trying to help people navigate the “economic” landscape, then prudence dictates we drill deeper into how the American consumer is doing during these challenging times. What drives consumer behavior? 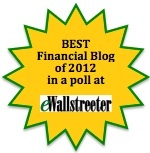 How is the consumer adapting his/her personal spending habits? What triggers personal consumption? How can we source this information without being captive to the heavily massaged data provided by the government or industries with inherent bias? Well, if you are interested in learning more you have come to the right place as this Sunday evening from 8-9pm ET, No Quarter Radio’s Sense on Cents with Larry Doyle Welcomes Rick Davis. ﻿Richard C. Davis is the founder and President of the Consumer Metrics Institute. 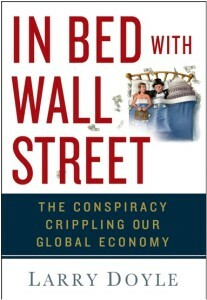 The Consumer Metrics Institute grew out of Mr. Davis’ frustration with the lack of timeliness and poor quality of information available to individual investors about the consumer economy in the United States.